Removals Maida Vale is a professional and well-established moving company with extensive industry experience in dealing with all types of residential and commercial property relocations. We would like to extend our exceptional service offers to all private and business customers based in the W9 postal area. Our professionalism, dedication and attention to detail have made us a natural choice for customers who are looking for genuine quality removal services that are worth their time and money. We will live up to our service promises, and we will not deviate from the agreed service format. The punctuality and efficiency of our work are undisputed and unrivalled. Our diligent and well organised removal teams are made up of specially trained movers who have the necessary skills and expertise to cover all aspects of your relocation. We work with experienced drivers who will ensure the safe and timely transportation of your belongings. Working with qualified professionals is the only way to provide our customers with the premium removals they expect and require of us. 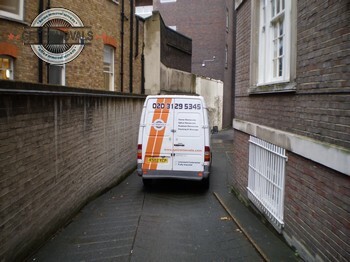 Speaking of transportation, which is one of the essential aspects of professional moving services, Our Maide Vale removal company owns a fleet of specially equipped removal vehicles, which are cleaned thoroughly after every job and restocked with safety blankets, fitted with hoists and latching for lifting, securing and transporting heavy or odd items, equipped with satellite navigation. Unnecessarily expensive removals are not something we have in store, instead we give customers access to inexpensive, cost efficient relocation solutions. Also, we provide everyone with free, no obligation service quotes, flexible and fair pricing, and great midweek discounts on all removals. Comprehensive service packages are also available at very reasonable prices. Service options to choose from include: domestic removals, packing services, delivery of packing materials, office removals, full scale business removals, piano removals, furniture removals, rubbish and junk removals, and many more. All the domestic and office removals in Maida Vale for which we are hired are organised and executed by our team of seasoned, competent and hardworking movers. We have equipped our packers and carriers with the best packing and lifting tools, so that they can easily, safely and rapidly pack, load and unload large quantities of goods. In many ways it is because of our workers that we can become the highly successful man and van company that we are today. Since our removal teams will have everything wrapped up and ready to go without any fuss or hassles for you, why not use the opportunity to get to know one of London’s most pleasant and picturesque residential districts. 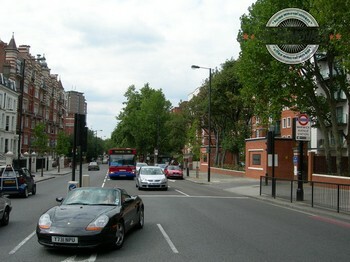 Maida Vale is an affluent, manicured suburb with expensive and pristine housing stock of the late Victorian and Edwardian period. Certain portions of Maida Vale are situated along, or overlooking Browning’s Pool, thus making for some lovely combinations of architecture, panoramic views and geographical features. This zone of the suburb is dubbed Little Venice – a term coined by local poet Robert Browning. South Maida Vale is one of the capital’s prime residential areas, and has a reputation for high end restaurants, cafes and bars and lots of exclusive shopping opportunities. Maida Vale has been, and still is home to an exceptionally large number of notable people. The Canal Café Theatre is perhaps the most famous entertainment venue in the district of Maida Vale. It specialises in comedy performances and has a capacity of 60 seats. It lies in close proximity to the well-known Bridge House public house which is one of the finest in the district and the English capital as a whole. The Puppet Theatre Barge was opened in 1982 and is another high profile entertainment venue. As you already know we are seasoned contractors and it is because of our immense experience that we know that your worry about your belongings and their well-being. The truth however is that you shouldn’t because we provide packing services of world class quality and we use only shielding products which we have personally tested. We work in such fashion because the safety of your possessions is of paramount importance to us and we will never do something that may put them in jeopardy. The district of Maida Vale is served by its own tube station which was opened to the public in 1915. It sits on the Bakerloo Line from the London Underground Network and is used by over three million people on a yearly basis. The station’s building is listed as a Grade II edifice and is considered to be one of the most important and visited local landmarks.